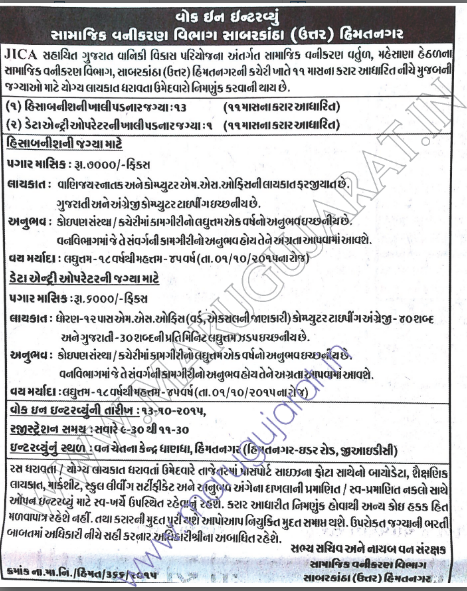 Forestry Development Project - Himmatnagar has published a Advertisement for below mentioned Posts 2015. Check below for more details. Std. 12th Pass, M..S.Office, Desirable : Computer Typing English : 40 W.P.M , Gujarati Typing : 30 W.P.M.